The Loveland Elder Green House Homes® for Life Enrichment (LEGH) Board of Directors consists of the following board members: Marlyn Tande, Sandy Mezzetti, Dale Doering, Frank Dornfest, Jon Mallo, Kory Stolte, and Jennifer Swanty. Megan began her career in long-term care 12 years ago. She began working as a CNA in the same community her grandmother, Mary, lived. One of her favorite memories was of her grandmother coming down the hall each morning to say good morning to her on her way to play piano for the other elders. A passion for the field became alive in her and she continued to work various leadership positions until she received her Administrators license in 2014. Megan is a Certified Eden Associate and fell in love with the Green House Home concept. She is beyond excited to be a part of this team and community. Brandi has worked in long term care for over 15 years and feels a genuine calling to be a part of caring for the Elderly, particularly in a setting such as the Green House. Brandi has worked in most aspects of long term care, starting in the maintenance department and working her way through a CNA program, LPN school, then RN school. 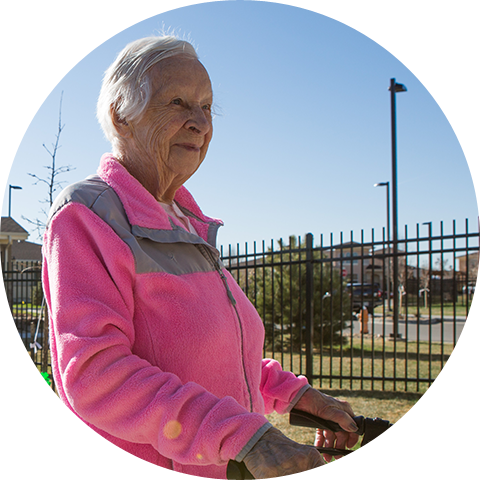 Caring for the Elderly has become a large part of her identity and she is ecstatic to be a team member at the Green House Homes at Mirasol.